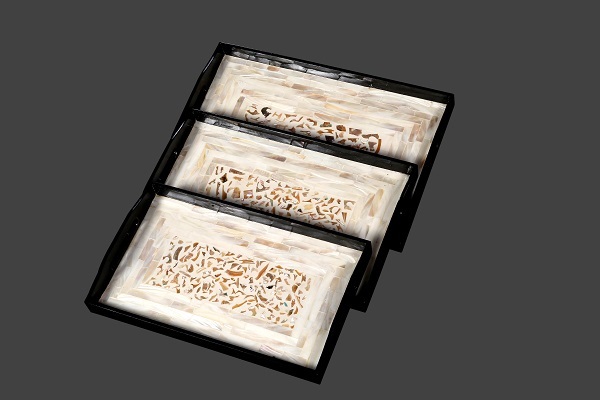 Set of 3 beautiful lacquer finished trays lined with pieces of shell in amazing designs. 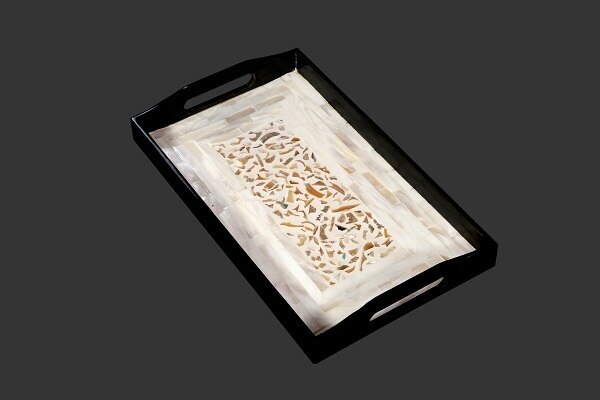 Ideal for Serving dry stuff or simply decorating your dining table on festivals & parties. Perfect House warming gift. Made in Vietnam Size in Inches 1). L- 12.5” B- 7.5” D-1.2”. 2). L-13.5” B- 8.5” D-1.2”. 3). L- 14.5” B- 9.5” D- 1.2”. 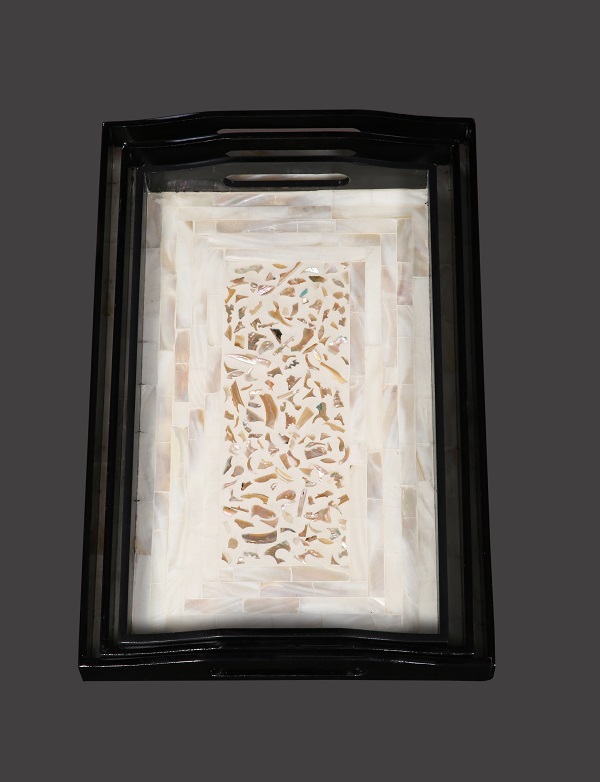 Material:- Wood & Shell.